On the last full day of enjoying the beautiful weather on Bradenton Beach, Florida, a tragedy happened. The family, playing ball in the water, lost a wedding ring. 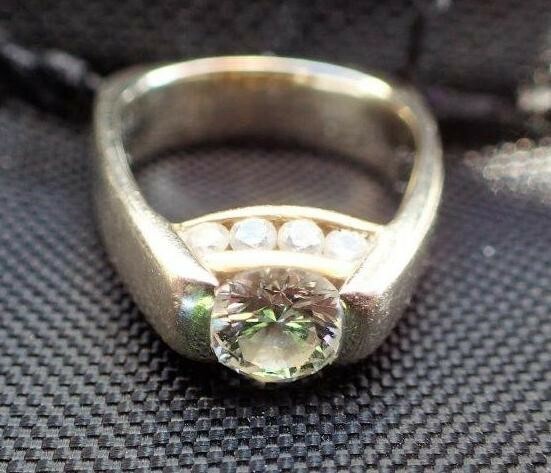 Elena’s ring slid off her finger in the cool water never to be seen again. A quick look on the internet and SRARC was discovered. 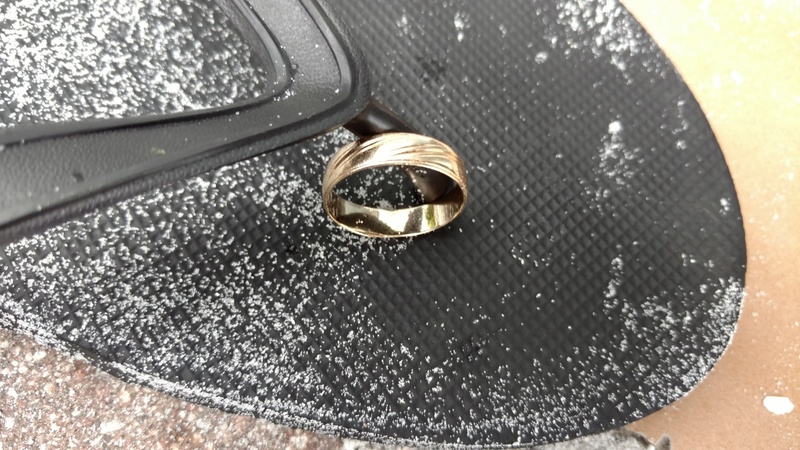 Mike and Joe hunted for 2 hours and finally on the last sweep of the area, the ring was found. A very happy ending for a beautiful family on vacation. 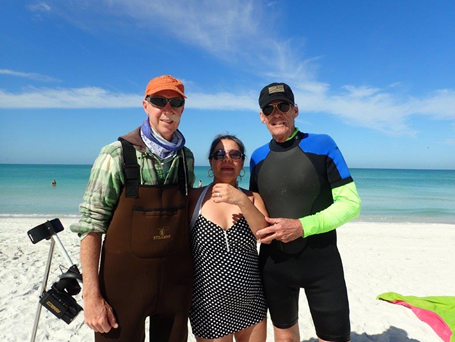 Rick and his wife Dale had pulled their boat up to a sand bar near Jewfish Island and were enjoying the ankle-deep water and tossing a football. Suddenly Dale realized that her diamond wedding ring that Rick have placed on her finger 17 years ago was missing. They immediately started feeling through the sand and got everyone nearby to help but to no avail the ring was not found. Later that evening Rick found The Ringfinder website and contacted Tom Jones. Tom sent out a request for hunters to meet Rick at the nearby boat ramp. 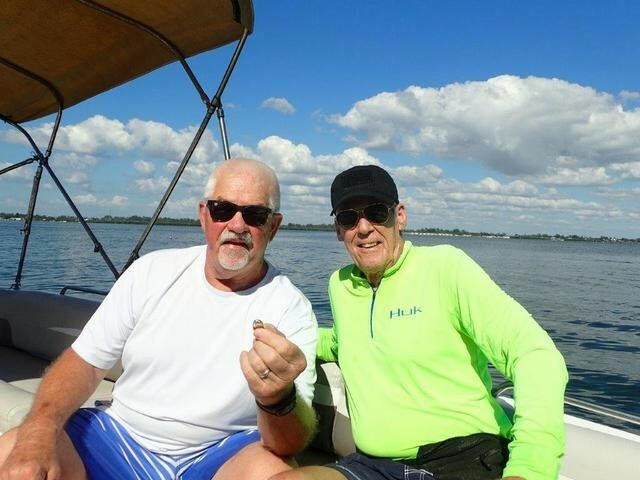 Tom Jones and Mike Miller met Rick and went out to the sandbar. Once anchored up Rick walked over to a navigational sign and started counting his steps back toward the boat. After 25 steps or so he stopped and said, “it’s right here in this area” while swinging his arms in a circular motion. Mike started hunting from that spot while Tom was asking Rick the normal questions like which way was she facing, is she right or left handed, did she fall. Mike interrupted with the question. ”What does it look like?” as he pulled the ring out of his scoop. Rick immediately called Dale to give her the good news that her precious lost ring was found. 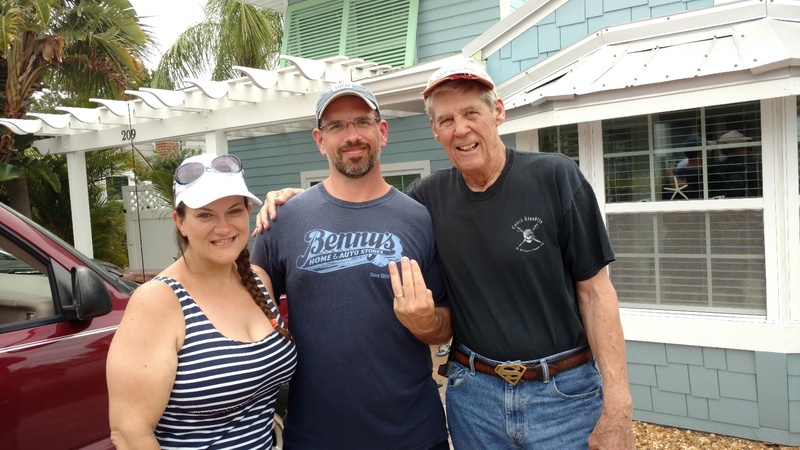 Dan and Sue were vacationing on Anna Marie Island over the Forth of July week with their kids. They were having a great time until Thursday evening when Dan was in about 3 feet of water with the kids and was trying to feel for shells in the sand. 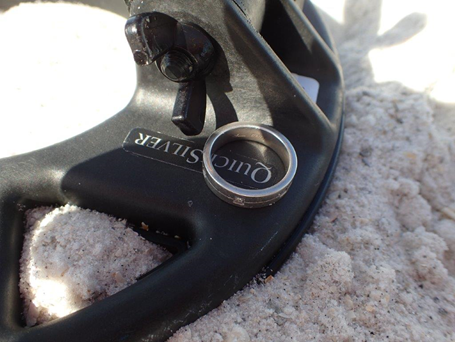 As he lifted his hand from the sand he felt his wedding ring slipping off his finger. He quickly pushed his hand back to the sand to try and trap the ring but it flew off before he could save it. The whole family frantically searched for the ring and other beach goers joined in to where they had 12 people looking at one point. They couldn’t find it and returned to their room that night and tried to think what could be done to get the ring back. 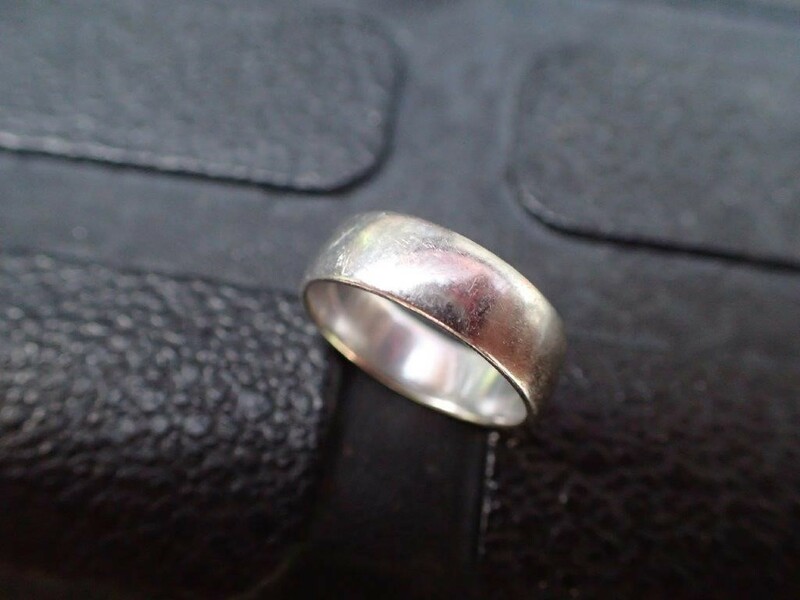 Eventually Dan found Ring Finders on the internet and contacted Howard Metts. 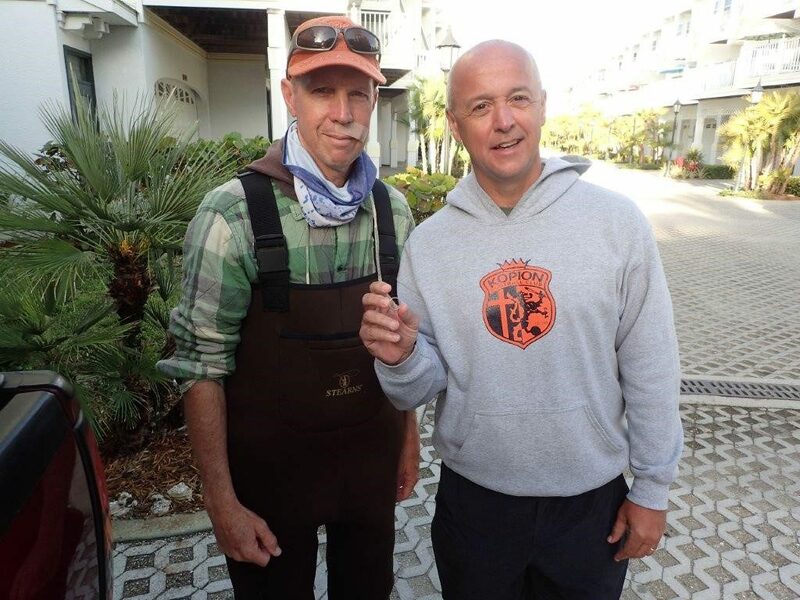 Howard put out an email to the club hunters and Mike Miller responded that he happened to be in the area and could meet them at the beach right away. After hunting for about an hour Mike got the good signal and called Dan and Sue over. He said I think this is it. It sounds really good but just in case I’m wrong, when I dig, it could also be a pull tab so don’t be disappointed. Mike dug and shook the sand out or the scoop and caught a glimpse of gold. He moved the scoop over to Dan and said “I think I see gold in there” Dan looked and saw nothing. Mike said “dig around in the shells a little bit”. Dan started digging and instantly found his lost wedding ring. Both Dan and Sue are overjoyed to have his ring back. It was solid smiles all around with the whole family.